“Exit, pursued by a bear!” (Shakespeare, The Winter’s Tale). Only this time it’s the little bear herself who is finally making a slow exit from the Masque Youth Theatre stage. As most of you know, I decided some while ago that it was time to hand the running of our wonderful, vibrant youth theatre to someone else, but it has taken over a year to find someone willing and able to take on the responsibility. Like buses, you wait for one, then two come along at once. So I can now report that Kristopher Fortella and Louis Tappenden have been appointed as joint Directors of Masque Youth Theatre from September. They have just completed their second year of a drama degree at Northampton University, they are full of ideas and enthusiasm and looking forward to working with our talented young members. There are so many people I want to thank for their support since 1997 – nearly fourteen years. Alison Dunmore and the late Jane Roebuck, who encouraged and mentored me, Rob Kendall for his understanding of the true value of youth theatre and his practical help whenever I needed it, Joan Walding, a retired drama teacher who helped me for several years, our brilliant Musical Director Kay Warcaba, Claire Brittain for her help in costuming the annual cast of thousands, the Masque “stalwarts” who always came to see our productions – you know who you are, and I have appreciated your interest and support. None of this would have been possible without the help of my husband Brian, who gave his professional experience as a writer, actor and director, creating Zero Zero, Gulliver and Steeple Sinderby specifically for the group and coaxing performances of exceptional quality from so many of the young actors. I want to thank Tim (multi-talented assistant director and right-hand man, ears, eyes, first-aid and cups of tea), Ed, Katy, Sarah, Sophia, Bryony and many former members – the regular “staff” who have made running the weekly sessions, Summer Schools and productions such a pleasure. 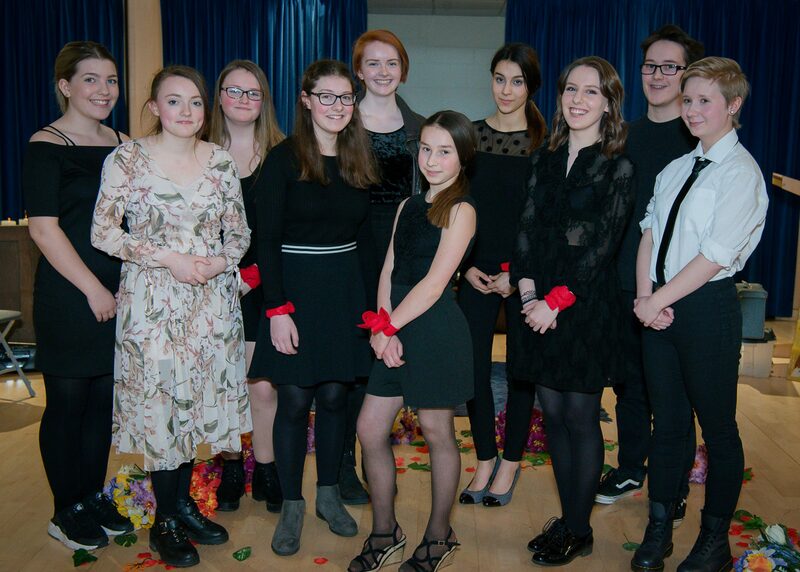 Then there are the parents, who organised costumes and refreshments during productions and arranged their evenings, car-sharing rotas and even holidays to ensure that Tuesday night was Masque night. Thank you all for your practical and moral support. Finally of course the hundreds of young people themselves, who have come together each week from across Northampton and beyond, to share in the magic of making theatre, all contributing their own special talents and personalities. It has been a privilege to watch them grow up, finding their distinctive voice and place in the adult world. Thank you all for your company. I love this Game, love it. But there comes a time when all of us have to say goodbye. And let the Game, and the seasons, roll on without us.